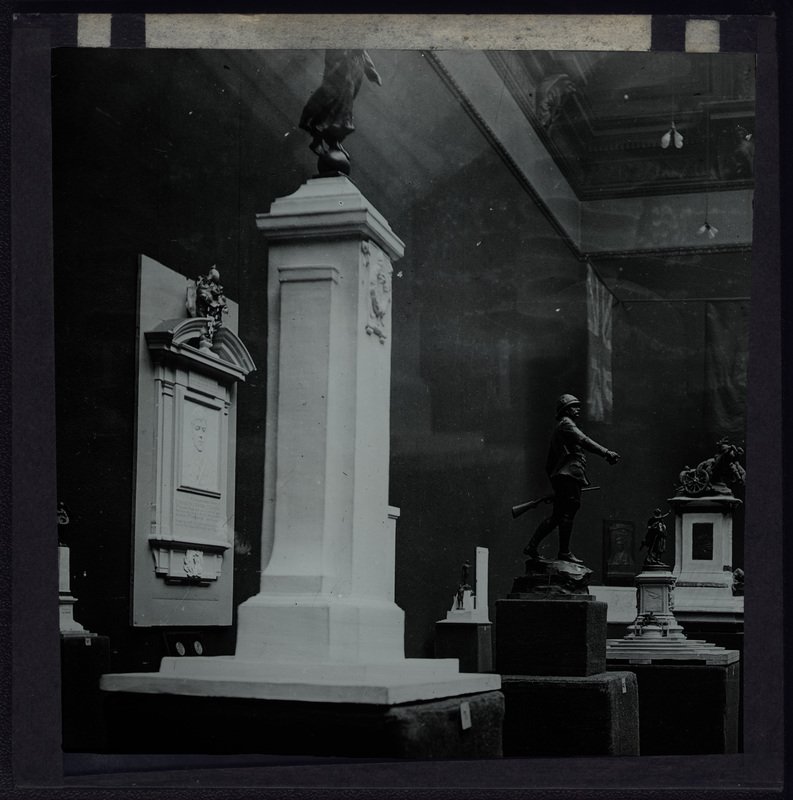 75 x 78mm (w x h) approx. 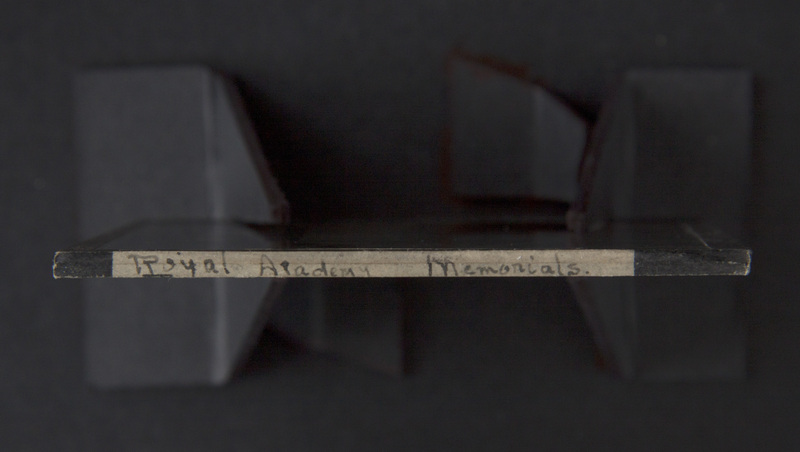 framed by tape. 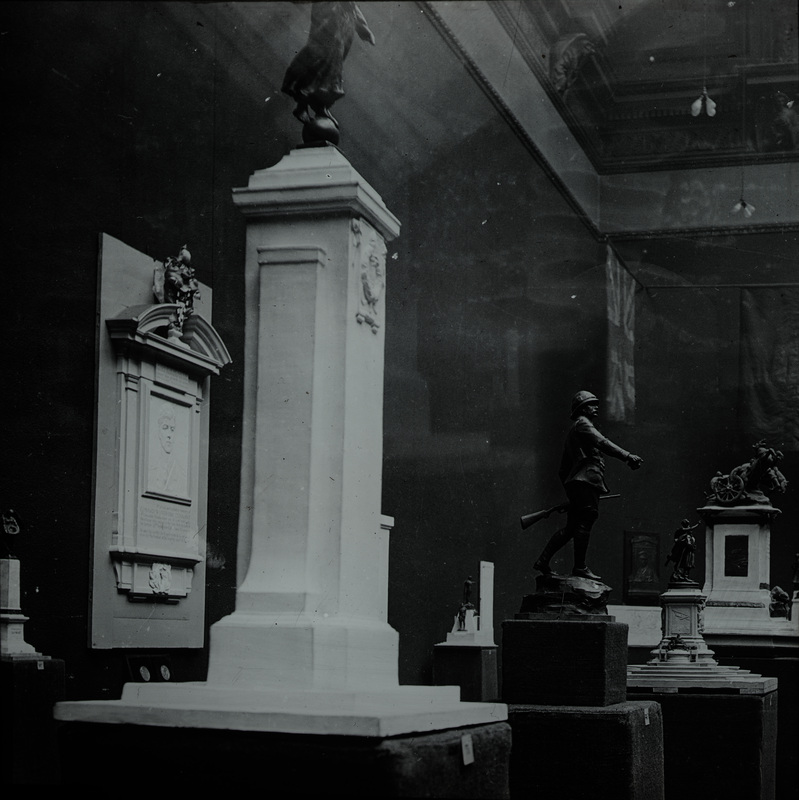 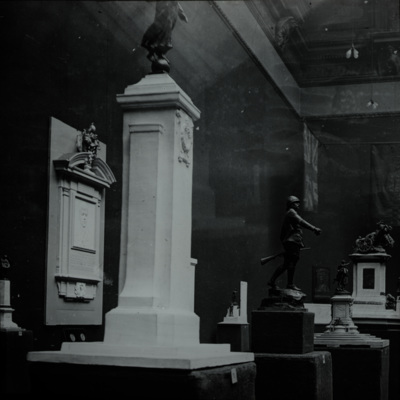 'War Memorials Exhibition' open at the Royal Academy between 20 October and 29 November 1919. 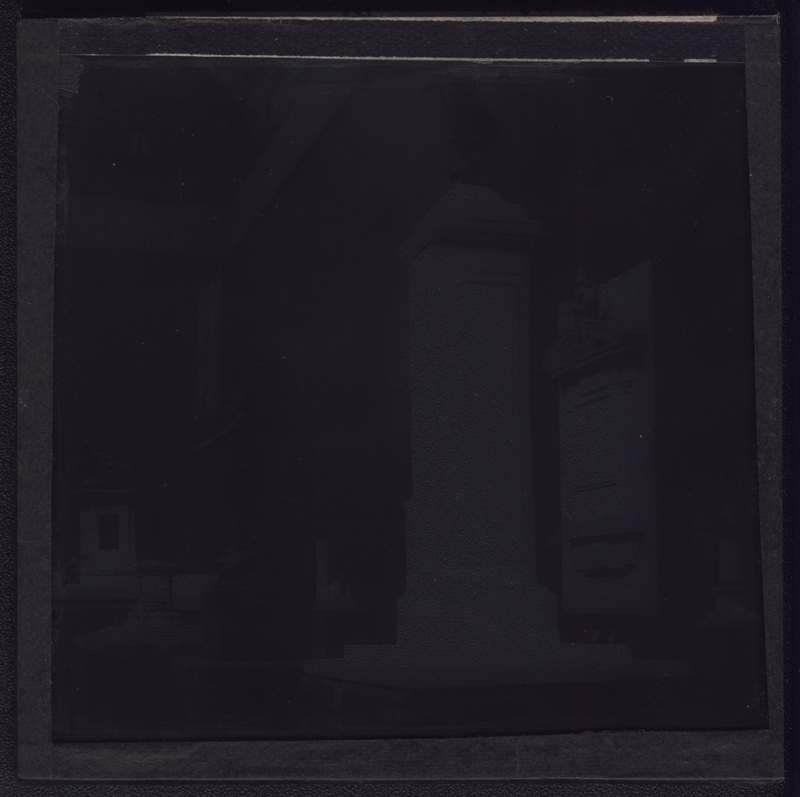 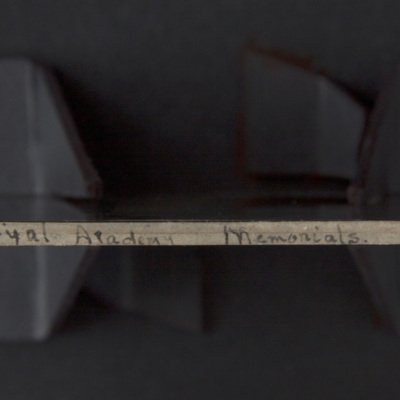 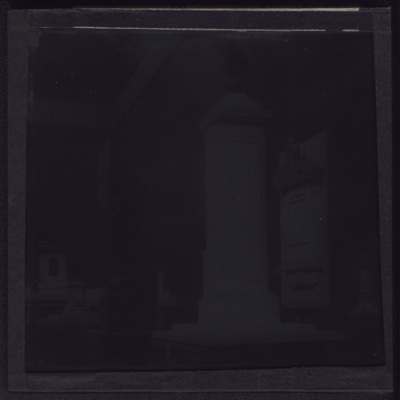 Attributed to Samuel Hurst Seager (1855–1933), “Royal Academy – War Memorials ,” Illumination & Commemoration, accessed April 24, 2019, http://seagerlanternslides.nz/items/show/94.